Peter M. Grollman is Senior Vice President of External Affairs at Children's Hospital of Philadelphia. Peter leads a portfolio of externally facing functions and supports the ongoing achievement of Children’s Hospital of Philadelphia’s (CHOP) three-part mission of patient care, education, and research through oversight of the Departments of Public Relations & Marketing; Diversity & Inclusion; External Affairs; Government Affairs; and Community Relations. In this role, he develops and supervises the creation and execution of tactics and strategies that ensure the Hospital’s external communications, commitment to a diverse and inclusive environment, community engagement and health policy goals align with the Hospital’s mission and strategy. Peter was hired as Director, Government Affairs, Community Relations & Advocacy in 2007. Prior to joining CHOP, he served as an aide in the United States Senate before joining a Washington, DC, based public affairs firm specializing in healthcare advocacy. 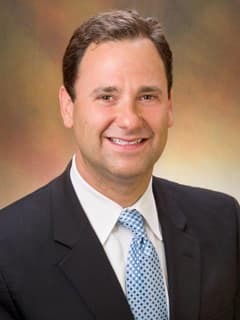 He received his bachelor’s degree in political science from The Pennsylvania State University and also holds a Master of Government Administration from the University of Pennsylvania. He serves on the Board of Directors for the Philadelphia Freedom Valley YMCA, Economy League of Greater Philadelphia, and the University City District. Peter also served on the Health Transition Review Team for Pennsylvania Governor-elect Tom Wolf.